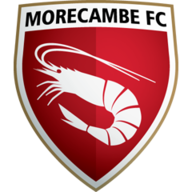 Paul Mullin's first-half volley proved enough as Morecambe reached the Johnstone's Paint Trophy Northern Area semi-finals with a 1-0 win at Rochdale. 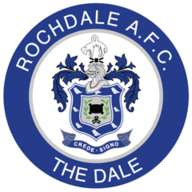 Jim Bentley's men had upset the odds to beat League One opposition in the previous round when they surprised Bury at Gigg Lane, and they repeated the trick at Spotland. The visitors took the lead in the 17th minute when Jamie Devitt's corner was partially cleared but quickly worked back into the box. Mullin showed great improvisation to take the shot first time, volleying inside the near post of Joel Castro Pereira's goal. And Mullin was presented with an opportunity to double his tally in the 29th minute when Dale conceded a penalty, Jim McNulty bringing down Lee Molyneux, but his spot-kick was superbly saved by Pereira, on loan from Manchester United. Nathaniel Mendez-Laing teed up Donal McDermott early in the second half but the Irishman fired over the top. It was the first of several second-half chances for the home side. Michael Rose tested Barry Roche with a curling free-kick on the hour mark, the Shrimpers stopper parrying his effort, while Rhys Bennett headed Rose's corner wide minutes later. Devitt should have doubled Morecambe's lead late on when he had a clear run through at goal only to pull his shot wide with just Pereira to beat.